Maintaining your outdoor paved, tiled, wooden, stone and brick surfaces clean is necessary to make your commercial estate and home look good. 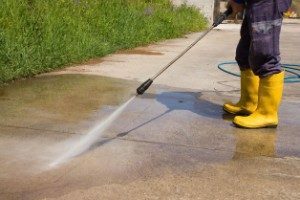 You can use the jet washing services provided by our staff in Hendon, NW4 to restore the clean and spotless state of your outdoor areas. We guarantee you excellent work at a reasonable price which will increase the value and improve the appearance of your estate. Our cleaners are supplied with high-grade machines which work with hot and cold water to eliminate dirt, soiling and stubborn stains. Patio Cleaning £3 £2 sq.m. Jet Washing £3 £2 sq.m. The cleaning will be started after all details are set and the customer accepts the quotation that had been sent. 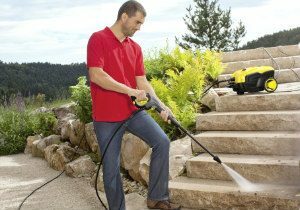 We use powerful jet washing machines that work with hot and cold water under pressure. They remove all kinds of dirt and grime, moss, weeds, graffiti and paint splatters. We guarantee the quality of our work which is of the highest possible and can make your filthy and unmaintained outdoor hard surfaces look great. We offer one-off and recurring pressure washing which has remarkable effective on all hard outdoor surfaces. Use our services to restore the cleanliness of your deck, patio, pavements, driveways, tiles, block paving, playgrounds and other areas. The jet washing we offer in Hendon, NW4 is affordable and brings the best results. We apply a sealant over the cleaned areas upon request to make them more resistant, non-slippery or protected. Hiring our qualified cleaning technicians to pressure wash the dirty external areas around your property will save you time, money and bring great results. We offer excellent jet washing which is at your disposal in NW4 during weekdays, weekdays and holidays without any surcharges. Take advantage of our services whenever you need effective and thorough washing of your patios, terraces, swimming pool, tennis court, driveway and other area. You can use them once or regularly for long-lasting effect.